Single Ticket Prices: $25, $10 (students/seniors) available through www.myo.org and at performance. For more information about The Metropolitan Youth Orchestra of New York, click here. The Metropolitan Youth Orchestra of New York (MYO) is committed to fostering a community of talented young musicians from Long Island and providing them with an opportunity to rehearse and perform choral and orchestral masterworks at the highest possible level with recognized leaders in music education and performance. 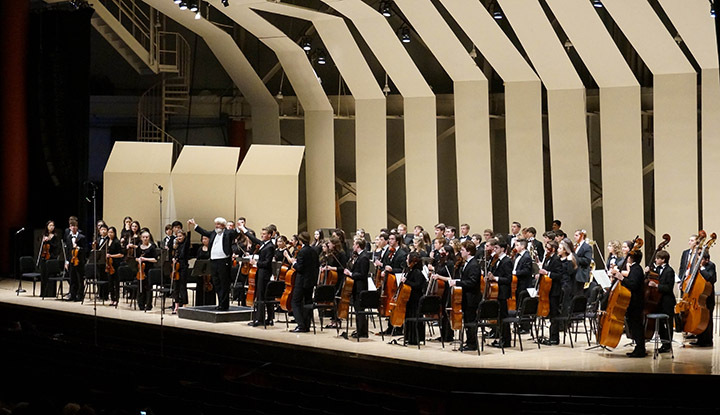 Founded in 1993 by John C. McNeur, MYO has grown from a 15-piece orchestra to seven orchestras and seven choral ensembles, serving over 1,000 musicians between the ages of 8 and 18.